Award winning actress and model, Yvonne Nelson has eulogized celebrated Reggae/Dancehall artiste, Emmanuel Andrews Samini popularly known as Samini. According to Yvonne Nelson, Samini is a legend and an idol to Ghana music. 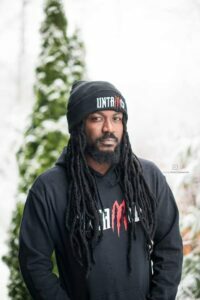 Samini over the decade since he surfaced on the music scene has been very consistent and came at the right time to help the music industry grow. Samini undoubtedly has been a legend in the industry and command a huge following because people really like what he does. Yvonne Nelson who couldn’t hide her likeness and respect for the iconic reggae/dancehall artist took to her twitter handle to heap praises on the ‘Obaa’ hitmaker. According to the mother of one, ‘Samini is a Legend. Samini has bagged a couple of nominations at this year’s Vodafone Ghana Music Awards (VGMA). Samini got nominations for Reggae/dancehall song of the year, Reggae/dancehall artist of the year and Album of the year.